Fitness is not one of the best investments a women can make into her future; it is THE best investment that she can make. And the best part of a fitness program is that it doesn’t have to be expensive or time-consuming. 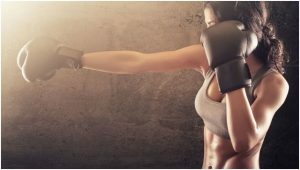 A lot of attention has been paid to fitness, as it relates to men, but the same emphasis should be placed on women’s fitness, especially during the month of February. The ESPY APP is about getting people involved in their health. With a minimum amount of fitness equipment, any women can get started on the road to better health and enjoy life by being more active using the ESPY APP. The reason I stress golf in the ESPY APP is because it requires the golfer to have strength, flexibility, and stamina to play golf, and it engages the mind. 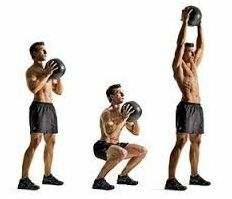 Also another routine you can include is working out with a boxing bag. You don’t have to purchase boxing gloves or boxing bag. 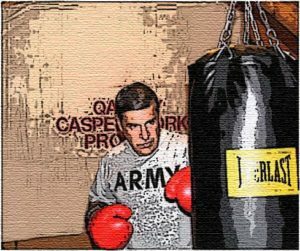 You can just get a duffle bag and put old clothes in the bag and hang it up behind a door and use garden cloves for your boxing bag workout. Below is me, working out with my EVERLAST punching bag that I consider important to golf and general fitness for stamina. Me during my Boxing Bag Workout routine. 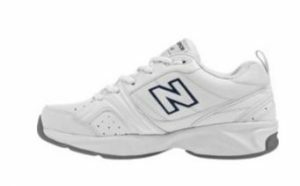 Two of the most important items for fitness that a women can purchase for less than $70.00 are a pair of exercise shoes (i.e., New Balance walking shoes) and a Medicine Ball. And when it comes to exercise clothing, I like simple gray sweats. With these few items, a women can get a full body workout, including walking. 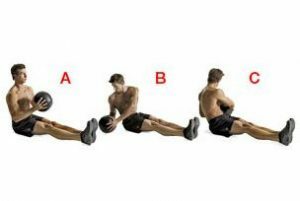 I use the Medicine Ball with the following exercises and perform what I call AMP-Yoga. Now an exercise program, like my CASPER Workout Program, is only a small part of my health and fitness. You also have to address lifestyle and the important nutrition part of your total heath. 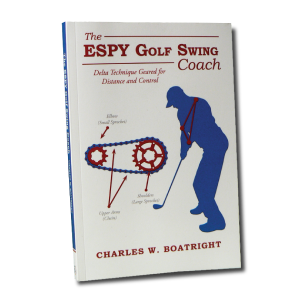 I developed the SR-925 Diet Plan before I started promoting my book, The ESPY Golf Swing Coach. I was about 35 pounds overweight. After I developed and started following my SR-925 Diet Program, I lost 6 inches in 3 months. I had a 37.5-inch waistline before I started, and now I have a 29-inch waist, in less than 18-months. Since December 2014 when I started the SR-925, I have maintained my 29-inch waist. And the best thing yet is this program is FREE for you to use! NO COST to you! 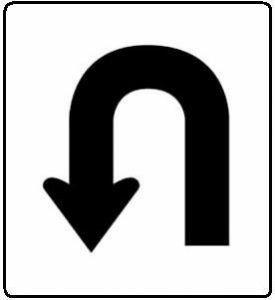 The SR-925 Diet Program is based on three simple principles of restricting sugar and starches and concentrating the clock of more on when you eat, instead of what you eat. The SR-925 even allows you to indulge in your favorite treats in 20 percent of your weekly meals. You’ve got to have an award system, if you are going to be successful. I’m 58 and I feel better than I did when I was 38. When I play golf, I walk the course.